Every now and then we experience something that resonates so deeply that we have to share it. 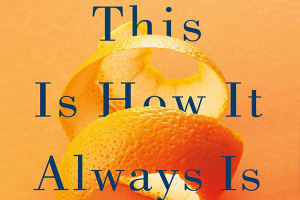 This Is How It Always Is, a wonderful book by Seattle author, Laurie Frankel, is just such a moving experience. At LEADPrep, we strive to see and value each unique student. We forge a community where labels do not limit and students can unapologetically be themselves. This empowering sanctuary of learning is a gift for all of us in the community. With a dusting of Buddhist philosophy, we are reminded that everything changes. So why not let our precious children be who they truly are and dispel any fear about less traditional ways of being human? In this poignant novel, the parents acknowledge that true parenting (like educating) is always a challenge of best guesses. Laurie cautions us of the temptation to want what is easy for our children, which does not necessarily bring peace or happiness. I wish for all our children a world where they can be who they are and become their most loved, blessed, appreciated selves. I want more options, more paths through the woods, wider ranges of normal, and unconditional love. Thank you for reminding us of what is important, Laurie.